Separate 1 can (16.3 oz) Pillsbury™ Grands!™ Southern Homestyle refrigerated Original biscuits into 8 biscuits. 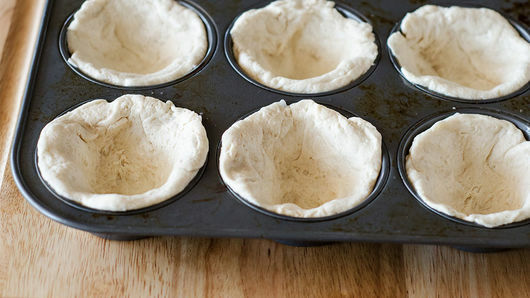 Place 1 biscuit in each muffin cup; press in bottom and up side of cup. 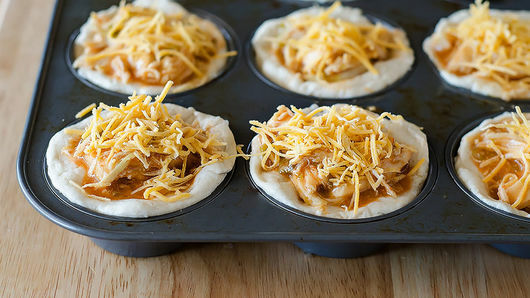 Use 1 pound of cooked ground beef instead of the chicken for beef enchilada cups! 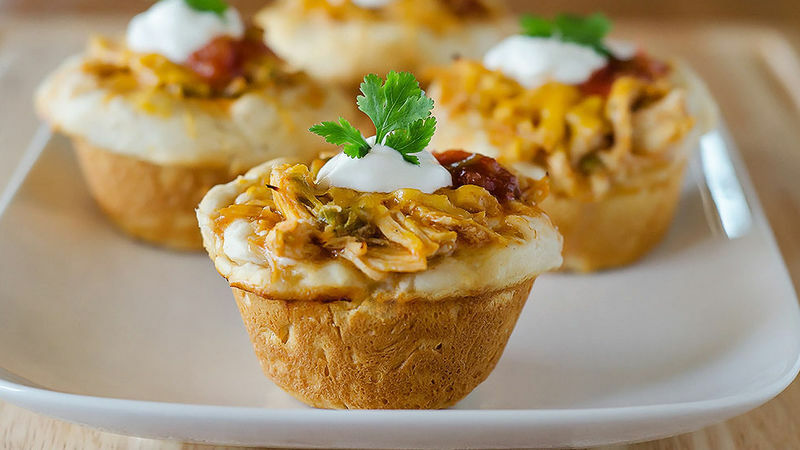 Serve each cup with Old El Paso™ Thick ‘n Chunky salsa, a dollop of sour cream and guacamole!